In the unusually early date of July this seasons JOHN DALE TROPHY was awarded to Lowri Waugh, just in time before she heads off to a new life in New Zealand. 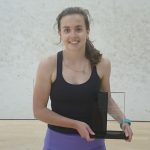 Lowri became the ninth winner of this prestigious award in the name of JOHN DALE, a Northumbria Squash top squash player who sadly died all too young in 2010. 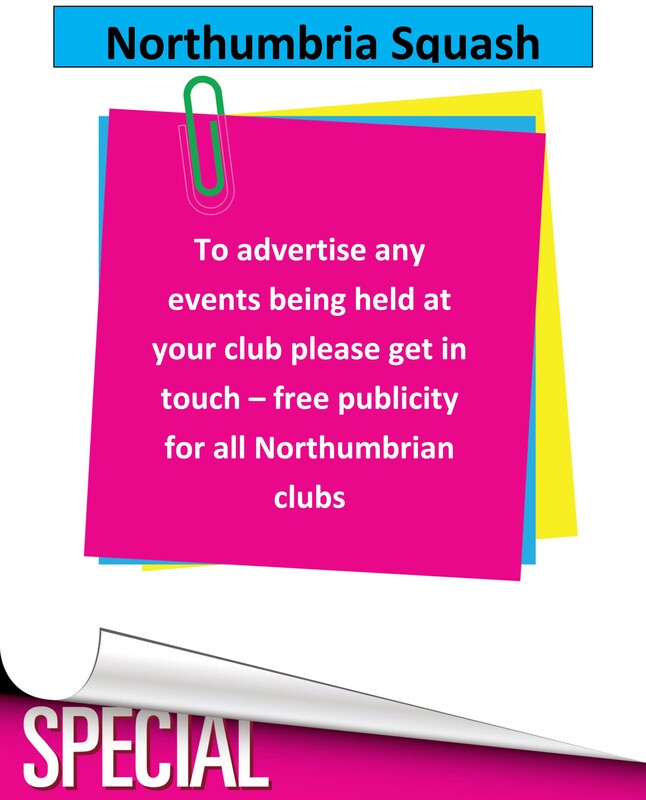 The award is given to the ‘best performing junior in Northumbria’ and Lowri is fully deserving of this. As with so many of the previous winners the qualities and traits you look for in a deserving winner are not only shown the in the year in which the award is given. Lowri has over the last few years fully committed to her squash after sharing her time between swimming and squash before that. That commitment has been not only to training but also competing both for herself but also club, county and region. This season she became girls county u17 champion in September and then led her u17 county team to the national finals eventually finishing as runners up. She then in her last national event before her move to New Zealand finished a very impressive 10th place at the English Junior Closed in March after taking some notable scalps . In March she was also selected for the first time to play for the senior county team and helped them get promoted to the premier league for next season. Lowri is an amazing and committed team player, not only the county achievements as above she represented her school Dame Allans, helping win the u19 national title this year and her club (playing in both ladies and men’s leagues) where the ladies team won the season ending Northumbria Cup. On and off court she is a well mannered and just lovely girl and I know is looked up to by the younger players who see her approach to the game. 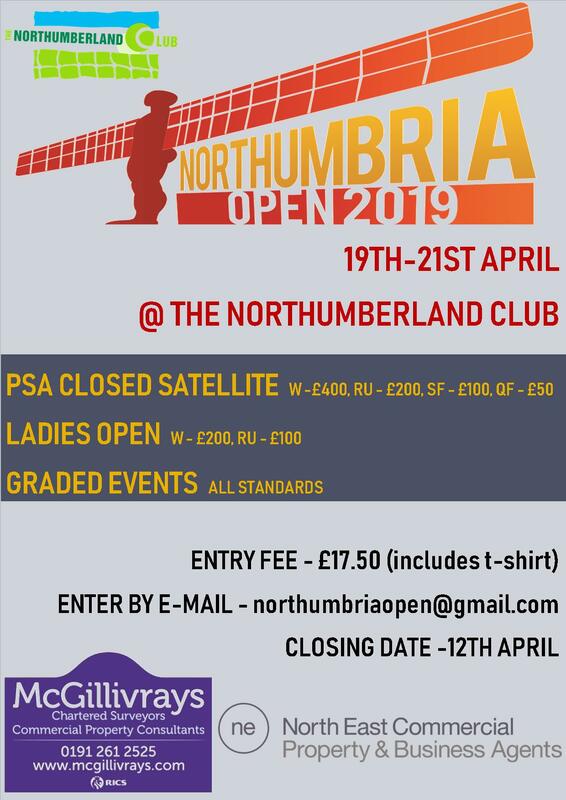 For all the reasons above Lowri will be missed by many in the Northumbria squash world but I know she will continue her squash playing in New Zealand and I’m sure she will be back and represent Northumbria once more in future years. Congratulations Lowri, so well deserved, good luck to you and your family in Auckland.